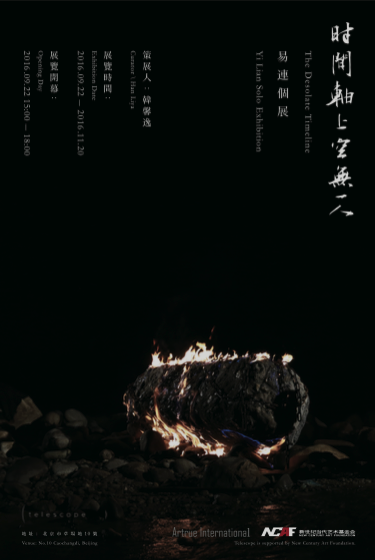 It is our honor to announce artist Yi Lian’s premiere solo exhibition “The Desolate Timeline” on September 22, at Telescope. Yi Lian has long been using video as his creative language, and his video works show a surrealist, magic style. His lens always focuses on the land, rivers, wilderness, draught animals, people and stories of his hometown. In his video works, days and nights are turned upside down, animals think around the clock, and people always fear their life away, as if they live in their dreams. 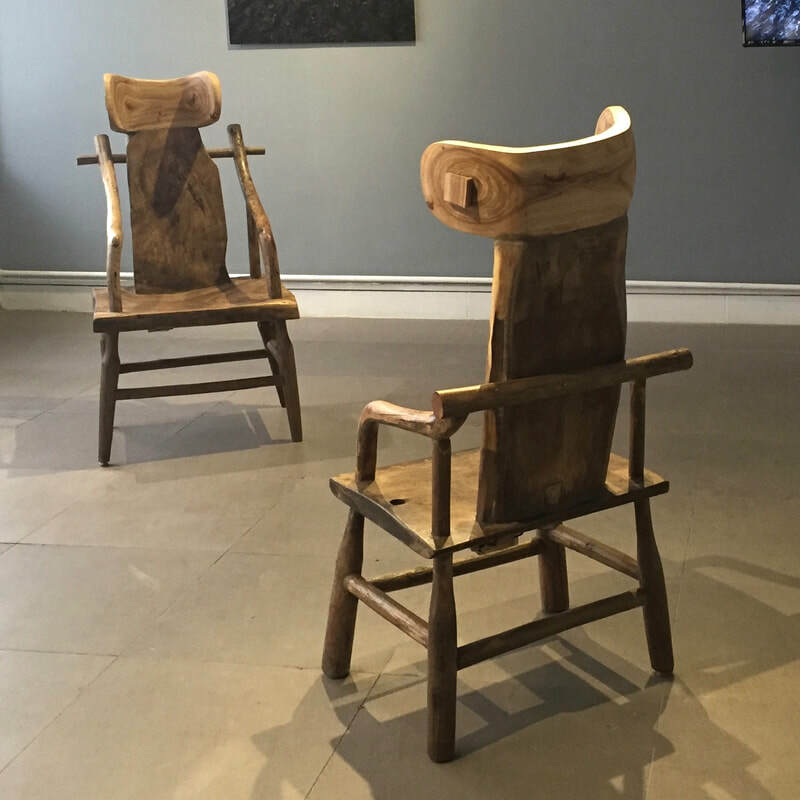 In his recent works as well as in this solo exhibition, Yi Lian turned the focus of his view to a more extensive theme: the revisits, representations and production of time-space. 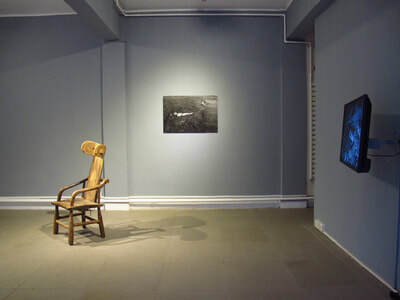 The solo show presents three groups/pieces of the artist’s recent works. 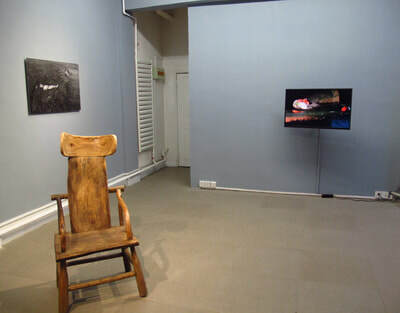 Each group/piece works in concert with time and space in the show room. In 2012, Yi Lian learnt from a family conversation that his little nephew was having somnambulism: when the family members were sound asleep, this 5-year-old child would wander around in the house while he was dreaming. This odd yet fascinating behavior became the motive of making Undercurrent 2012. 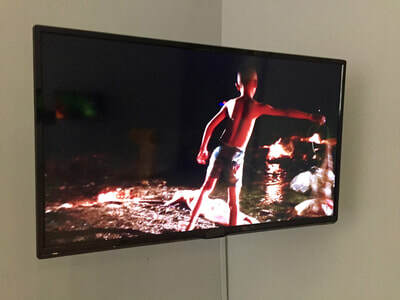 In filming this video work, the artist asked his nephew to try to reproduce in the wild the scenes of his somnambulism, while weaving the artist’s own imaginations into them. After five years, the artist made Undercurrent 2016, where he revisited the time-space of the past. Similar yet all different scenes and creatures are interlaced with each other in this group of videos. 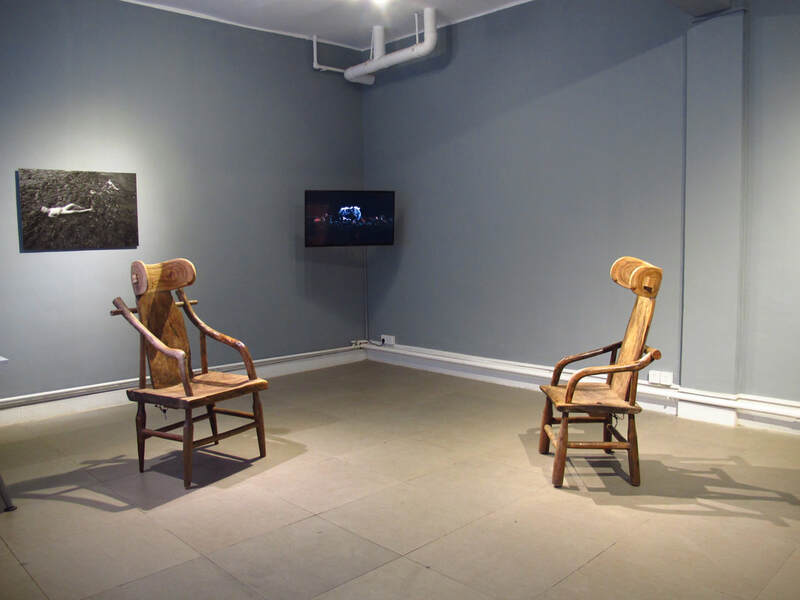 The sound installation Eight-Hour Long Conversations in Eight Years records two conversations of the artist with himself in the period of eight years, which both lasted continuously eight hours. 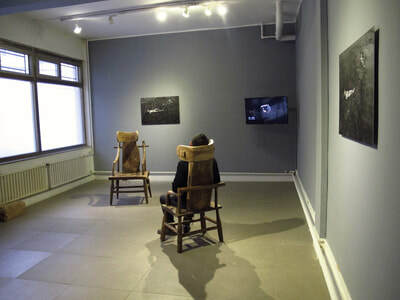 During those two conversations, the artist recalled his childhood, and talked about what the situations were like and what he had experienced back then. To be exact, this work is more like a record of an extreme act, the consequences of which are sealed by the artist in two weed-tree chairs that were made together by his father and himself. The two chairs are installed with used furniture that the artist and his father collected from their neighbors in their hometown. 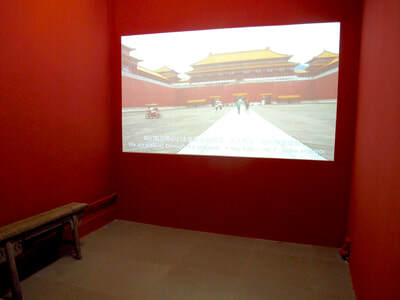 Meanwhile, The Palace is a humorous game designed against “reality”: the artist visited the Forbidden City in Beijing and the simulated one at Hengdian World Studios respectively but along the same route, and then transplanted the audio recordings of the environment at the real Forbidden City in Beijing into the video that he filmed at the Palaces of Ming and Qing Dynasties in Hengdian. In Yi Lian’s art, time-space is twisted into a series of broken, isolated islands, and people exist in a temporary and desolate manner, just like everything on earth.